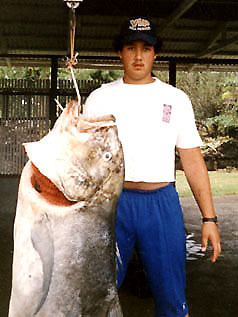 Mark broke out the big guns when all the signs were right for hooking a large ulua. He spooled his Penn 9/0 reel with 80-lb test Ande line and attached it to a Sabre 540 pole. The rest, they say, is history!